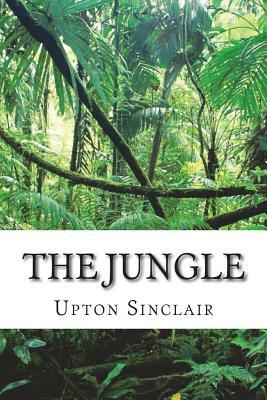 The Jungle by Upton Sinclair The Jungle is a 1906 novel written by author and socialist journalist Upton Sinclair. It was written about the corruption of the American meatpacking industry during the early 20th century. The novel depicts in harsh tones the poverty, absence of social programs, unpleasant living and working conditions, and hopelessness prevalent among the "have-nots," which is contrasted with the deeply rooted corruption on the part of the "haves." The sad state of turn-of-the-century labor is placed front and center for the American public to see, suggesting that something needed to be changed to get rid of American "wage slavery." The novel is also an important example of the "muckraking" tradition begun by journalists such as Jacob Riis. Sinclair wanted to persuade his readers that the mainstream American political parties offered little means for progressive change. Upton Sinclair came to Chicago with the intent of writing The Jungle; he had been given a stipend by the socialist newspaper The Appeal to Reason. Upon his arrival in the lobby of the Chicago Transit House, a hotel near the stockyards, he was quoted as saying, "Hello I'm Upton Sinclair, and I'm here to write the Uncle Tom's Cabin of the Labor Movement " (Arthur, 43). He rented living quarters and immediately immersed himself in the city by walking its streets, talking to its people, and taking pictures. One Sunday afternoon, he worked his way into a group of Asian immigrants getting together for a wedding party - "Behold, there was the opening scene of my story, a gift from the gods." He was welcomed to the festivities and stayed until two o'clock in the morning. The novel was first published in serial form in 1906 by The Appeal to Reason. "After five rejections," its first edition as a novel was published by Doubleday, Page & Company on February 28, 1906, and it became an immediate bestseller. It has been in print ever since. We are delighted to publish this classic book as part of our extensive Classic Library collection. Many of the books in our collection have been out of print for decades, and therefore have not been accessible to the general public. The aim of our publishing program is to facilitate rapid access to this vast reservoir of literature, and our view is that this is a significant literary work, which deserves to be brought back into print after many decades. The contents of the vast majority of titles in the Classic Library have been scanned from the original works. To ensure a high quality product, each title has been meticulously hand curated by our staff. Our philosophy has been guided by a desire to provide the reader with a book that is as close as possible to ownership of the original work. We hope that you will enjoy this wonderful classic work, and that for you it becomes an enriching experience.